Looking at First Pacific’s results I cannot fail to be pleased to see the largest increases in contribution, recurring profit and net profit at our Company since 2011. 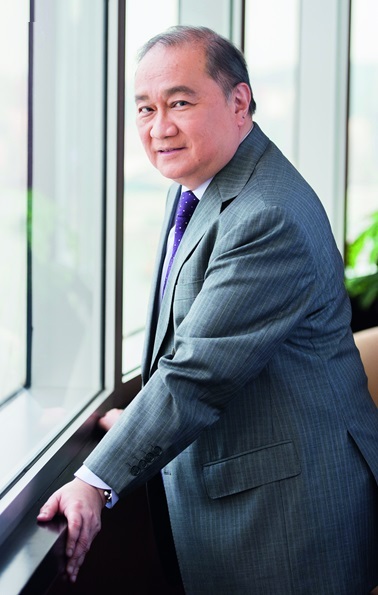 The Group has evolved enormously in the seven years since then as it has diversified its sources of contribution, becoming less dependent on PLDT and growing the share of contribution delivered by, in particular, Indofood and MPIC. As a corollary to the changing shape of our contribution, we have seen a diversification in our dividend income as well, even as we have had to adjust to a decline in the overall level. In 2011, PLDT provided First Pacific with nearly three-quarters of our dividend income, while Indofood delivered one-fifth and MPIC gave us only 2% of total dividend income. Contrast that with 2017, with Indofood’s share of the total doubling to 37% and MPIC contributing 15% of dividend income. Even after four years of its own challenges, PLDT still provided 43% of our dividend income in 2017 and there is every indication that it will turn to earnings growth in 2018 following a long and expensive transformation. This in turn will lead to a return to a strengthening of its ability to pay dividends. This reshaping of our dividend sources is an important development to First Pacific today, as this improved diversification of our source of dividends – driven by change in our earnings mix – has been accompanied by a meaningful decline in our dividend income over that same period. We have responded by cutting costs – particularly our interest bill, which is down by a full 15% last year – and our overall level of indebtedness. We have also launched a review of our assets with an eye towards disposing of non-core investments that don’t fit our return criteria. This effort continues, and we are keen to release what funds we raise to finance further debt reduction and a meaningful share repurchase program to signal our optimism for the future of our Group as we rebalance our earnings and sources of dividend income onto a more stable footing. Notwithstanding the recent belt-tightening in our cash flow, your Board of Directors feels it’s prudent to maintain First Pacific’s own distribution unchanged on a per-share basis, meeting our eight-year commitment to distribute 25% or more of recurring profit to First Pacific shareholders. On recent data, the dividend yield on First Pacific shares is a healthy 2.9% and compares well with our peers as we look forward, with increasing confidence, to sustained stronger performances across the First Pacific Group. Our future as a stronger, slimmer and more focused holding company is more clear than ever. What is that future? A sustained turnaround at PLDT on the strength of its Pesos 260 billion capex program to build a world-class telecommunications network; continuing sales and revenue growth at Indofood and Goodman Fielder as they tap into the growing spending power of consumers in emerging Asia; continuing volume growth at MPIC’s businesses even as it seeks new toll road, water and other infrastructure investments in the Philippines and elsewhere in Southeast Asia. Our core investments are well managed, large, and growing. We look forward to communicating our goals and strategies to our shareholders and others in the months ahead. I am disappointed regarding the current share price, given the strong operational result in 2017 and our expectations of continued improvement at most businesses in 2018 as well as PLDT’s expected higher recurring core profit. Our optimism has merit and I am hopeful that we will see a positive reaction from shareholders during the current year and beyond.